If your budget for a new fish finder is 500 bucks, then you are in the sweet spot for buying a small screened, but full featured fishfinder GPS combo. Full featured just means it has combinations of GPS, memory card slots for mapping and saving screenshots, dual beam sonar, and at least one type of imaging sonar. This year’s best fish finder GPS combo under $500 will have screens in the 5″-7″ range, but they are packed with more electronic wizardry than ever before. Thanks to the strong competition in the sonar wars, GPS lake mapping, down imaging, and even side imaging have been getting pushed down into these powerful 500 dollar units. There is a lot to cover to help you choose the right depth finder, so let’s get started with the comparisons. Pricing Note: Pricing is based on MSRP at the time of product listing and cannot guarantee accuracy or availability. We will correct any inaccuracies as soon as they are brought to our attention. The Hook2 7 SplitShot from Lowrance is a very similar unit to the EchoMap Plus 73cv. This fish finder has sonar with multiple frequencies for CHIRP capable sonar (83/200 kHz), as well as built in DownScan Imaging (455/800 kHz). While the Hook2 7 SplitShot lacks the touchscreen capability of the Garmin unit, it’s still an incredible value. 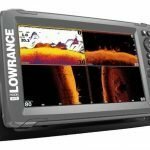 Lowrance has a reputation for the best downscan imaging, and the new SplitShot is no exception. Like the Garmins, the Hook2 SplitShot comes with a decent base map collection, covering 3,000 inland bodies of water. If you need more detailed maps, it is compatible with Navionics Gold, Fishing Hotspots Pro, and Jeppessen C-Map Max-N. You also have the ability to get online access to the popular user generated Sonar Charts. 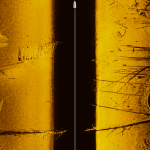 The Hook2 SplitShot is currently not capable of making its own sonar recordings. The Elite-Ti didn’t at first either, so maybe a software update will give you the option of creating your own custom lake maps by subscribing to the Insight Genesis program. This is much like Humminbird’s Autochart, and Garmin QuickDraw only this one requires payment to keep your personal maps private. The ECHOMAP Plus 63cv is an excellent little 6″ fish finder with a lot to offer anglers. For sonar, the Garmin 63cv comes with a 77/200 kHz transducer with built in ClearVü (same as DownVu) imaging. It is also capable of connecting to trolling motors with built in transducers (adapter cable sold separate). The sceen may be small, but it packs the same number of display pixels as the Helix 5 & 7 or Lowrance has. It also has something those don’t, and that is pre-loaded lake maps. The 63cv has 17,000 LakeVü US lake maps on board, and 6,700 of them are high definition with 1ft contours. That really makes this unit an excellent value, and you can see our review here. The Hook2 7x TripleShot is essentially the same unit a “7”, but without chartplotting capability. If you just need a cheap screen with SideScan capability, this is great bet. It more or less is equivalent to the Gamrin Striker PLUS 7SV but costs less, and that is a win win situation. The Garmin STRIKER Plus 7sv is the best value fish finders in the Striker series of imaging fish finders. 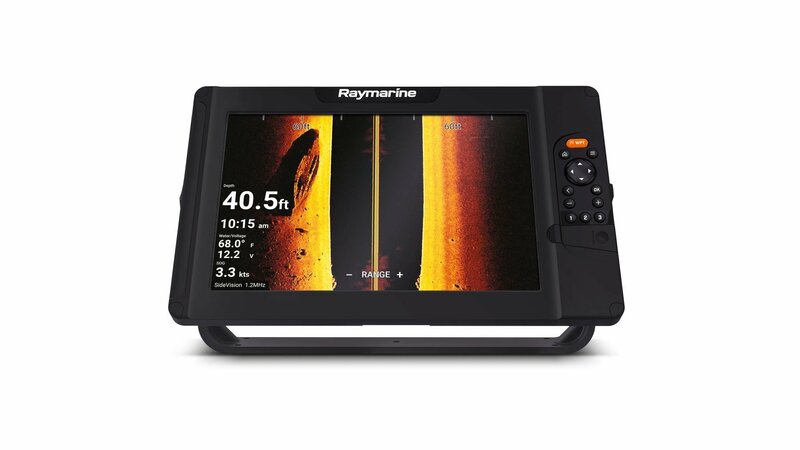 The 7sv boasts an 800×480 pixel 7” screen to view the popular SideVü imaging sonar, as well as ClearVü, CHIRP, and your standard 2D sonar data. 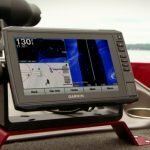 With the Striker Plus 7sv, Garmin has tried to bring as much size and capabilities together into a value driven depth finder. However, the fact that there is an internal GPS but no microSD memory slot for mapping capabilities will mean the 7sv is a no-go for many fishermen. 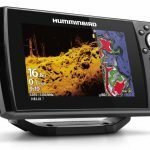 For a 7” unit with side imaging, GPS, plus mapping and microSD you would want to take a look at the Humminbird Helix 7 SI GPS, or for another hundred bucks you can get a touchscreen with the Garmin ECHOMAP Plus 73sv. On the other hand, if you just want a side scanning fish finder with the largest screen possible for under $500, then the Striker 7sv is your best bet. No other unit can offer you side, down, and CHIRP in the 7” size and still remain within your budget. The HELIX 5 CHIRP SI GPS G2 was at one time the best fish finders you can buy under $500. It’s still a good unit, but the competing fish finders now have 7″ screens. 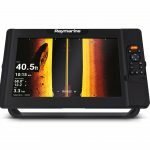 The fact that this is the only GPS Chart Plotter and Side Imaging fish finder in this category, still make it a top choice. 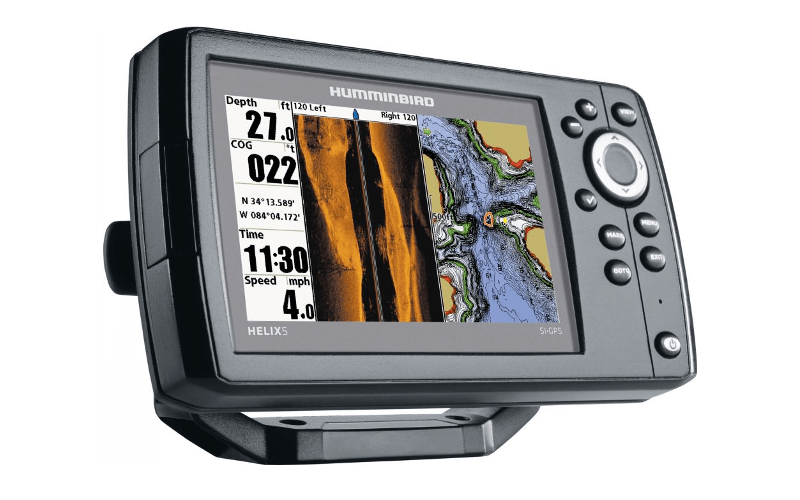 The Helix 5 SI GPS has a widescreen 5″ with 800×480 resolution, meaning it easily has the best display specifications in this comparison (along with the Dragonfly 5 Pro and STRIKER 7sv). This unit comes packed with the XNT 9 SI 180 T transducer, also known as the “Compact” side imaging transducer, and eligible for Humminbird’s transducer exchange program. For a little extra money, you can upgrade to the High Definition side imaging transducer (XHS 9 HDSI 180 T). 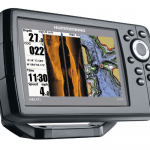 For mapping, the Helix 5 SI GPS is compatible with Lakemaster cards, as well as the Navionics Gold/HotMaps cards. To get the most out of the unit, I first recommend you check the Lakemaster lake list for your area. If the lakes you fish are covered well, get the Lakemaster card so you can take advantage of the exclusive features like Depth Highlight and Water Level Offset. See our review here. If you’ve already done some looking around, you’ll see the Dragonfly 5 Pro is under the 500 dollar mark when not bundled with a Navionics mapping card. This little unit is compact enough to fit on kayaks, and will provide you a screen big enough to not have to strain to see. The Dragonfly 5 Pro has an optically bonded display, which means it uses glass and a gel bonded to the display to provide an improved optical viewing experience. When you combine the excellent display with the dual channel CHIRP and DownVision sonar, you get some fantastic images on the fish finder. The CHIRP technology simultaneously pings across a range of frequencies, resulting in increased detail and target separation. All of the Dragonfly Pro units have a built-in WiFi capability, allowing you to connect and share video and screenshots to the optional WiFish mobile app that you can use on your smartphone or tablet. 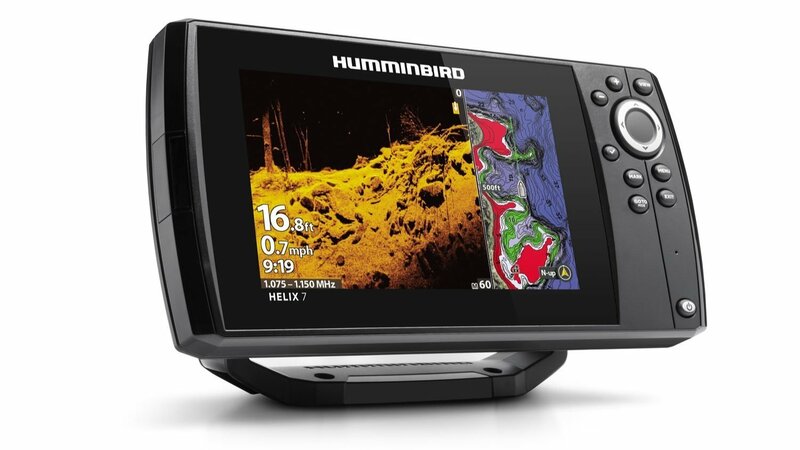 The Humminbird Helix 7 DI unit is a nice blend of screen size and sonar features for the price. 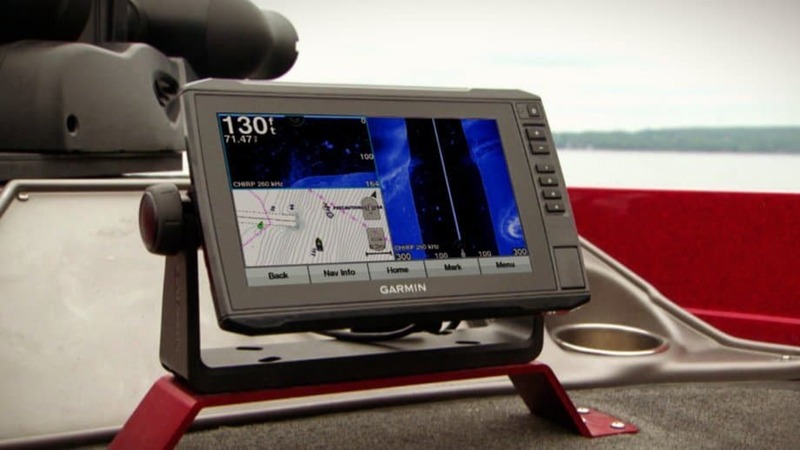 You get a bright, highly detailed 7” screen to view the dedicated Down Imaging sonar, and split screen it alongside the 200/455 kHz 2D sonar, or the GPS chart plotter. The G2 models now even have the benefits of CHIRP sonar and CHIRP DI. The Helix 7 DI GPS has one microSD card slot that will allow you to use your Navionics or Lakemaster maps. You could even start saving sonar recordings of your favorite lake so that you can create and view your own custom lake map with the Lakemaster AutoChart computer program. You don’t have to own the program to start creating recordings. You can buy it at a later date and import all of your data to create your personal map. Overall, the Helix 7DI GPS has good capabilities and features for a unit in this category. The Helix 7 cannot share waypoints with another unit, but in all honesty, that kind of feature is going to be left out to keep the unit appealing to anglers with all kinds of budgets. Which Unit Should You Buy? For Side Imaging >> You have two excellent options for a side imaging fish finder under $500 this year. If you need detailed lake maps and a microSD card slot, the your best option is the Helix 5 CHIRP SI GPS G2. 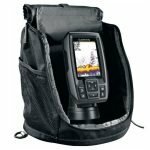 This unit has been extremely popular, as it is the lowest priced Side Imaging fish finder on the market, and it has a brilliant 5″ widescreen display. I do not hesitate to recommend this fish finder to anyone. For a larger screen, but no microSD slot for maps, choose the Garmin STRIKER Plus 7sv. For Down Imaging >> For the best down imaging performance, it’s hard to go wrong with any of the remaining units in the $500 price range. For me, I would go with the Helix 7 CHIRP DI GPS G2 because of the awesome 7 inch display, plus microSD slot to allow you to add in the superb Lakemaster mapping. For DI plus CHIRP >> Choose the ECHOMAP Plus 63cv or Hook2 7 SplitShot, as they are the only units that have microSD mapping slots and DownScan with CHIRP sonar. The only downside is the smaller screen sizes compared to the other units, so before you buy, decide if you really need the CHIRP sonar for your style of fishing. To compare multiple similar fish finders at once, try our Fish Finder Comparison Tool. I have a Lowrance Elite 4HDI FF on my kayak and want to upgrade to a 7 inch screen fishfinder. Do you know if i could buy , for example, a Lowrance Hook 7 unit and connect it to my existing Elite 4 cables? I want to avoid installing a new set of cables and transducer if possible. Im not that handy. I use my transducer over the side of my kayak and it works well. Thanks very much. Your reviews are excellent. I am looking at upgrading my current fish finder. I fish out of kayak in Hawaii usually targeting pelagics. Would like a ff with side, chirp, map creation, and GPS/chart plotter functionality. Any recommendations? I would have to say the Garmin echoMAP PLUS 73sv, or Helix 7 CHIRP GPS SI G2N. Good size screen, has all the features you listed. Thank you so much for the reply. The Garmin is definitely #1 on the list but just a tad steep in price. Any secondary recommendations? I know it’s a lot to ask to have all those features while staying around the $500 range. Yeah, that’s tough to hit all those features at that price. Maybe the Striker PLUS 7sv would work for you. Otherwise the only other units is a HELIX 5 CHIRP SI G2, but that is a small screen, even on a yak. doesn’t the hook 2 7 have a micro sd slot. your info says no?? but cabelas description says it does? also is the transducer that comes with the helix 7 chirp di g2 have the chirp sonar. I’ve read elsewhere that it doesn’t. that only a standard transducer is included. I’m so torn between these 2. my brain hurts trying to decide what unit to get. any help? PJ, thank you for pointing this out. Lowrance’s new site is lacking a lot of basic info on these units. I believe the HOOK 2 do have MicroSD slots, but not the HOOK2x models. I have updated this post as well as the HOOK2 review. Yes, the HELIX 7 G2 models do indeed have CHIRP sonar. Honestly, if you are getting it for Down Imaging, I might suggest the HOOK2. Lowrance seems to always have a little better clarity on their Down Scan. And I have only heard good things about the HOOK2 series in general.